Blandford From Sturminster Newton take the A357 to Blandford. After the Fiddleford Inn turn right to Okeford Fitzpaine, then Belchalwell and into Ibberton. The Village Hall is the first building on the left. From Dorchester take A35 to Puddletown. Turn onto A354 and at the roundabout take the road to Cheselbourne. Continue through Melcombe Bingham and Ansty. Turn off towards Bulbarrow Hill and Woolland. At the masts bear left and go straight across at the crossroad. Proceed down the hill and turn right at the T-junction. Follow the road to Ibberton, with the Hall on your right as you leave the village. From Blandford take the A357 to Sturminster Newton. Pass through Durweston and Shillingstone and continue until a large staggered crossroad. Turn left to Okeford Fitzpaine and continue for three miles, passing through Belchalwell and in to Ibberton. 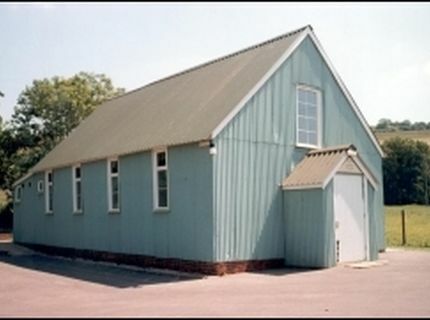 The village hall is the first building on the left.